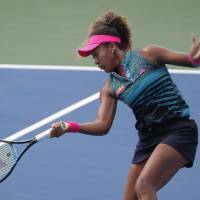 WASHINGTON - Naomi Osaka got off to a winning start in the Citi Open women’s singles on Tuesday, posting a straight-sets victory over American Bernarda Pera in the first round. 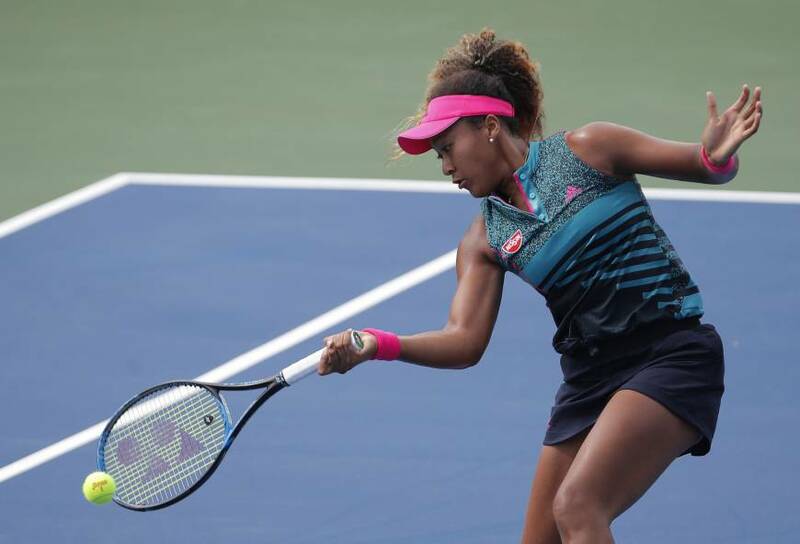 The third-seeded Osaka, who is making her debut at the July 30-Aug. 5 hardcourt tournament, prevailed 6-2, 7-6 (7-4) in a rain-delayed match at Rock Creek Park Tennis Center in Washington. The world No. 17 claimed the first break of the match in the sixth game with a backhand winner before breaking Pera’s serve again to seal the first set. Though playing with a taped right thigh, Osaka managed to pull off eight aces and won 71 percent of her points on her first serve. Pera, ranked 95th, struggled with eight double faults. Osaka is playing in her first event since Wimbledon, the grass-court Grand Slam, where she suffered a third-round defeat. The 20-year-old said she is confident she can play in top form here on her favorite surface. “Hardcourt is like my home, so I feel really comfortable. I’m definitely looking forward to playing in the next round,” said Osaka, who claimed her first WTA title at the hardcourt Indian Wells in March. “I think I’m so used to hardcourt, like I grew up on hardcourt and I’ve played almost my whole life on hardcourt. I’m so comfortable on it as opposed to red clay or grass,” she told Tennis Channel in a postgame interview. Among other Japanese, Nao Hibino also advanced to the second round in the women’s singles with a 7-5, 6-4 win over Russia’s Sofya Zhuk. Yosuke Watanuki lost to Russian Daniil Medvedev 3-6, 7-5, 6-1 in the men’s event. Former world No. 4 Kei Nishikori, who received a first-round bye in the men’s singles, will face American Donald Young in his tournament opener on Wednesday. In San Jose, Serena Williams walked off the court offering waves to a supportive Bay Area crowd that certainly didn’t expect to see the 23-time Grand Slam champion’s early exit from the Mubadala Silicon Valley Classic. In the most lopsided defeat of her career, Williams’ disappointing night ended in less than an hour as she lost her opening match to Johanna Konta, 6-1, 6-0. While Williams was encouraged by her court coverage, she hardly looked like herself on a cool summer evening. She double-faulted and landed drop shots in the net. Williams missed returns and sprayed her groundstrokes long and wide. Konta, who captured her first WTA title two years ago at Stanford, got on a roll with a quick first set and didn’t take a chance in letting Williams get back in it. Konta closed the first game of the second with consecutive aces. The sixth-seeded Williams is a three-time champion in the Bay Area. This marked the fifth tournament for the 36-year-old Williams since giving birth to her daughter, Alexis Olympia, last September. It’s her first tournament since her straight-set Wimbledon loss to Angelique Kerber. Williams shrugged in disbelief when things went well, and when they didn’t. She gestured with her hand when the ball hit the lowest part of the net. Williams had moments of brilliant shot-making to win long rallies, then would put a drop shot into the net and sigh in disappointment. The good shots were to be celebrated. She pumped her left arm and yelled “yes!” after winning the first point of the second game in the second. Williams then outlasted Konta for a long third point but was unable to hold serve. “It’s difficult, I guess. It’s not I guess, for sure,” she said of trying to find that consistency again.